When we feel that those around us are being tough or judgemental, I can guarantee, when you look more closely, they are being tough on themselves. We are all our own worst critics and judge ourselves harshly at times, believe me I know, I am one of them, but what I have found is that when I do, I am much more likely to judge those around me. I like the story above because it reminds me that at the end of the day, some things don’t matter. It doesn’t matter if I am not perfect, it doesn’t matter if I sometimes make mistakes or feel inadequate. Remember we are human, we are vulnerable. 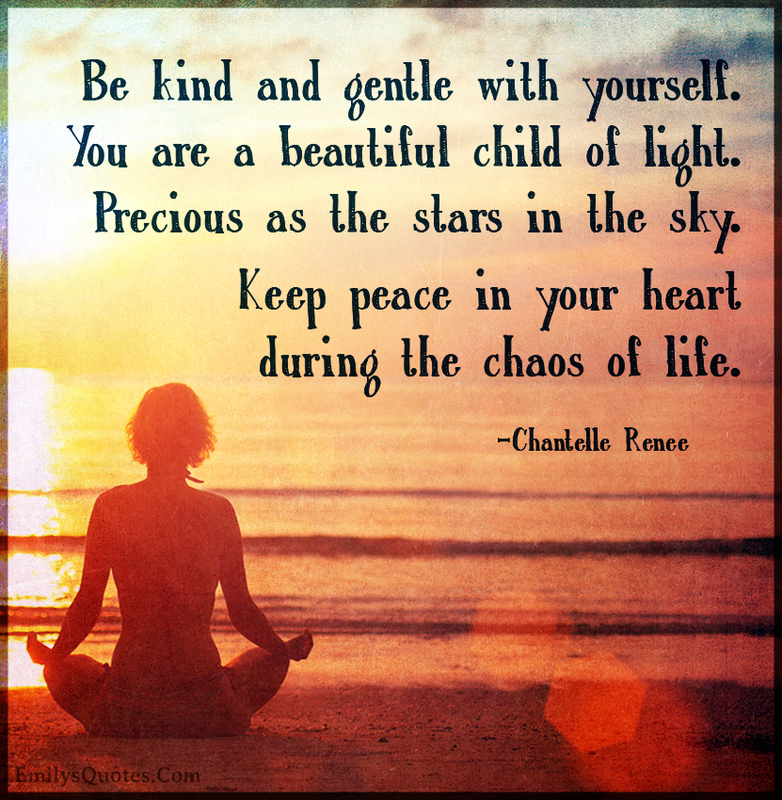 Sometimes we just need to let it go, lighten up and learn to be gentle and kind to ourselves. Once we do, it will always ripple out to those around us. Speaking to me here. You are. I’m from the perfectly imperfect tribe. They do live longer so true Sawsan!! Yes and ‘love’ is the only cure for our self-judgement. Thankyou Sawsan. I believe it could work the other way around too, Karen. When you can stop being judgemental of others, you become more accepting and better able to love yourself. I’ve been learning to give up perfectionism too Karen. May we be gentle with ourselves and others, accepting what is with grace. To let go of judgement isn’t easy, but by being awake, it helps. I love reading your posts for the beautiful, thought-provoking stories and anecdotes at the start ! This one made me smile a little too! Funny Jimmy! We find contentment when we see the importance in all things, yet don’t take anything too seriously; least of all ourselves. So true. Life is serious enough without any more pressure placed on ourselves! Thanks Alan. Thank you for this post. The next time I feel anxious or paranoid about something, Ill remember this quote. Im extremely hard on myself. Its annoying. I think there are many of us who can relate very well to this post. As much as I always try to think I can be the “stable” one, there are times when I really forget that many things just do not matter, and keeping things simple often is best. Not sure why this is not possible for me at time…sigh 🙂 Thanks Karen, wish you a great day ahead. I grew up in a household where perfect mattered. Oy. Not until midlife I’ve learned to be gentle with myself–it really does make all the difference in the world. Thanks Karen I needed to read this one today. Holidays can be challenging when autism comes into play. Sometimes I have to just let go and not judge or think too far ahead. Today as I get closer to my 52nd birthday I am going to celebrate life instead of complaining about age lol. Hugs Kath. Thanks Karen I will treasure the little moments, we are off to Canberra for the weekend. Just spotted this. Thanks. So true and sometimes so difficult,but worth the effort.